First, let me thank Greg Stone, Alan Dynner, Brian Skerry, and David Obura for their recent contributions (you can read them by clicking the links next to each author's name at right). We are so lucky to be able to hear directly from them (as well as some other expedition members) as the trip progresses. Personally, I have also been plagued with a fairly phenomenal case of seasickness, but I think that the worst is over. After days of fighting the seas, the winds calmed enough for most of us to head onto the deck to look around. What can we see? BLUE. Nothing but blue and white. Blue skies with white clouds, blue seas with white waves. No land visible in any direction. No other boats. 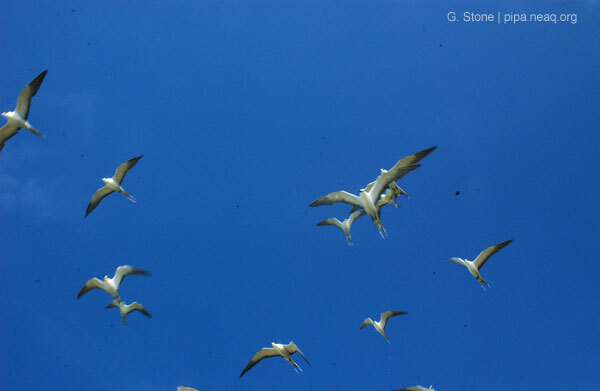 And 2 or 3 small terns, making their way to or from the Phoenix Islands, or so we think. Never one to resist a pun, I love the idea that the tide is terning if the seas are calm enough for terns, then they are calm enough for us. 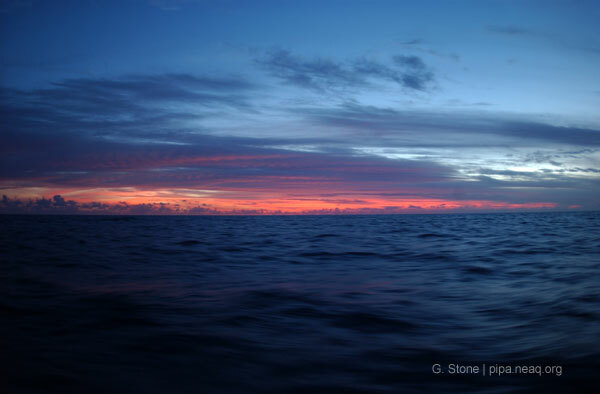 On this lonely stretch of ocean between Fiji and the Phoenix Islands (~1000 nautical miles! ), it's nice to see some life out here. Surprisingly, we have not observed much marine life yet on this long voyage, save for the hundreds of flying fish that leap from our wake. But, it's only a matter of time until there is so much marine life that we'll be struggling to keep up with it. And we're terning the corner! Shortly, we'll be reporting back about waters teeming with fishes, invertebrates, and plant life. Today, we'll be assembling our dive gear and prepping to arrive. Then we dive! -We have talked a little about the North Pacific garbage patch and they want to know if you have seen any evidence of plastics/debris/fishing gear during your time at sea. -Is there one specific species that you are looking to investigate? -Did you always want to be a marine biologist? -And one curious student wants to know--have you ever gone diving in the giant ocean tank at the aquarium?